Look for this Blogger’s Pick image, click it, and read why it’s on my list of things I love. This pink plush blanket looks so cozy and warm I just want to grab my honey and snuggle by the fire. I love the color, the detail of hearts along the bottom, and it’s big enough for two to cuddle up with. Don’t want to break out that big box of Valentine’s Day decorations but still want to be festive? You can still celebrate without breaking a sweat or a nail taking down that box in the attic. 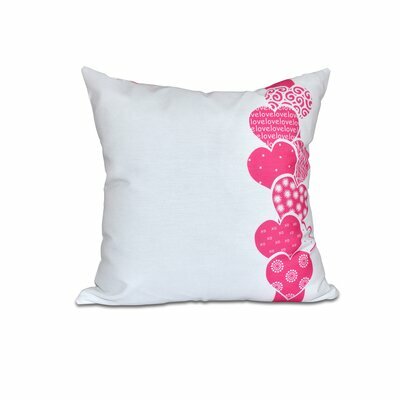 Throw pillows are a quick and easy way to give your room a holiday makeover. Add a few on the couch, a couple on the chairs, grab a glass of champagne, and enjoy your newly decorated room. I adore this retro looking pink lollipop apron! It has everything I need…it is well made, has a pocket, a darling bow, and it is contoured to look like a dress. 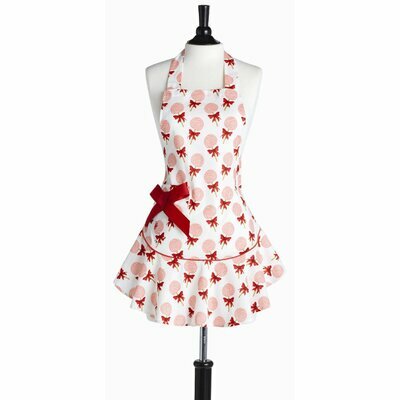 I don’t know about you, but a cute apron just makes be want to bake! 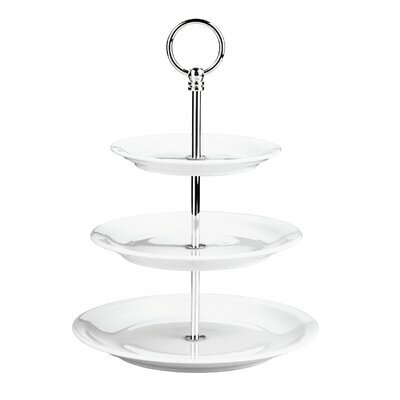 I entertain a lot and love the look of tiered servers. I have several in various colors but my favorite is this white one. White is very versatile and can be used for so many different occasions. This also makes a lovely place to set your jewelry, pretty soaps, perfume, and little trinkets. 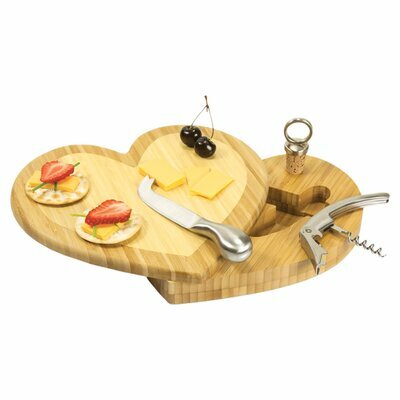 This heart shaped cheese cutting board is so clever and beautifully made. We really enjoy concerts in the park during the summer and always take wine and cheese. We won’t have to wrap the knife and bottle opener in a towel anymore because this board hides the knife, a bottle opener, and a wine stopper. Genius! 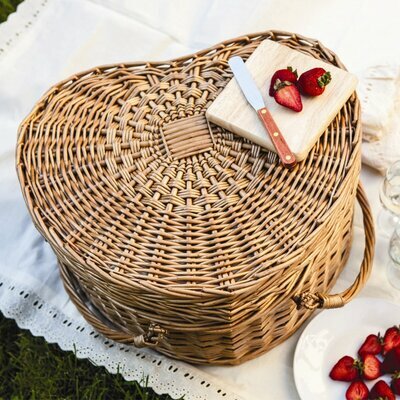 If you are planning a picnic for two this heart shaped basket is just what you need. All of your picnicking essentials are included…all you need are the crackers, cheese, chocolate covered strawberries and a bottle of something bubbly. Perfect for Valentine’s Day, a wedding gift, bridal shower, or even Mother’s Day (hint hint, Honey!). I really love champagne and have quite a collection now of flutes and glasses but my favorites have some special significance. 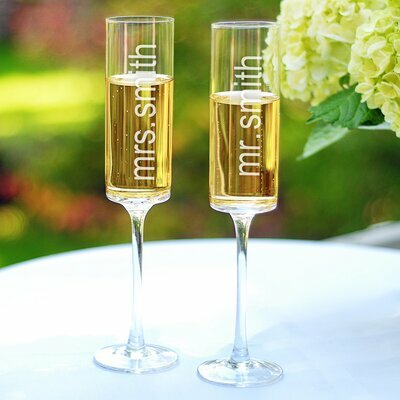 A set of personalized flutes would make anyone feel special. Customize with Mr. & Mrs. for the new bride and groom, bridesmaids names, the date you became parents or graduated from school, or with nicknames you have with your love. Time to pop that champagne! 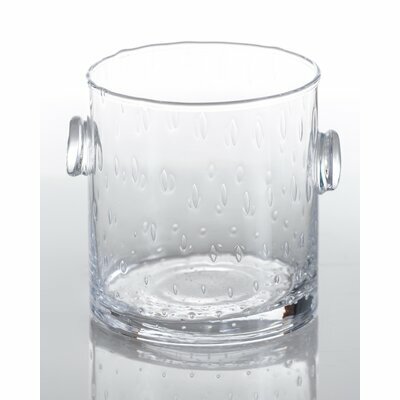 I just love the sleek and modern design of this champagne cooler. One of the things I like best though is the size. Big champagne buckets are wonderful when you need to chill more than one but this is perfect for a single bottle enjoyed with your love. Isn’t that heart shaped cutting board the most clever thing ever?! I adore it! The heart shaped picnic basket is just too much. You will seriously be the envy of all the other picnickers if you bring that around. It really does hold a lot. My favorite item by far though is the pink blanket. No surprise there. We’re going to look so cute all cuddled up with that! How will you be spending Hearts Day? What is your favorite must have Valentine’s Day item? I would love to hear about some of your own special traditions.